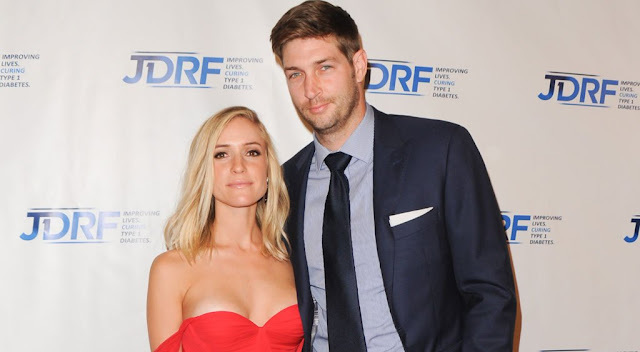 Kristin Cavallari just announced that she is expecting her third child with her husband, Chicago Bears quarterback Jay Cutler. Kristin revealed the news via her app with a cute photo of herself making a heart sign around her belly while standing in front of her two sons, Jaxon and Camden. "We're at it again!" Kristin wrote. "Thrilled to announce baby number 3 is on the way! The cutler crew just keeps growin'!" In the snap, Kristin looks happy and relaxed while posing barefoot in the grass. Kristin, who wed Jay in 2013, welcomed Camden in August 2012 and Jax in May 2014. And while she's revealed no details about her third pregnancy, she did previously gush to E! about how easy her first two were, saying, "I'm lucky. Both pregnancies have been really easy for me, I've just been really tired. It's just one of those things where I could literally sleep all day everyday but I'm snapping out of it a little bit now that I'm in the second trimester." Congratulations to the couple on their growing family!